⬅ MMP045: Launch of Season 2! Welcome to Episode 46! 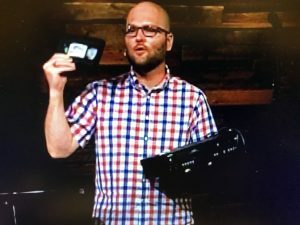 This week’s episode is a message I gave at Hope Church, called Filter Needed. We are surrounded by a variety of messages from friends, television, the internet, and, yes, the movies. In this message, hear how you can use the Bible as a trusted filter to determine what is true and right in the many messages with which get. Take wisdom to the movies to filter accurately.